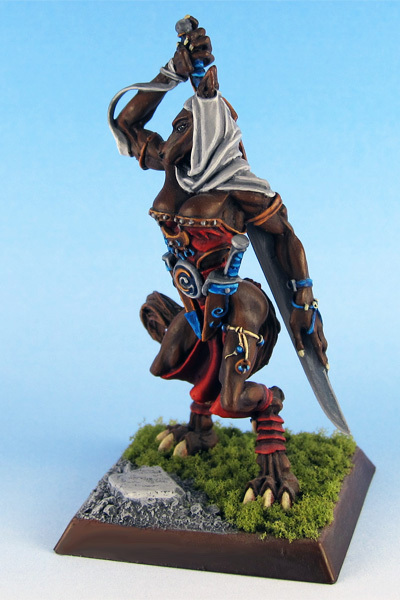 Ashyn Tyr is one of the last remains of my Wulfen wargang from the original Confrontation skirmish tabletop. 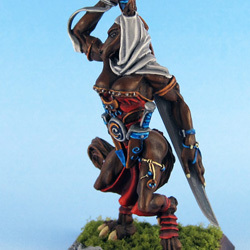 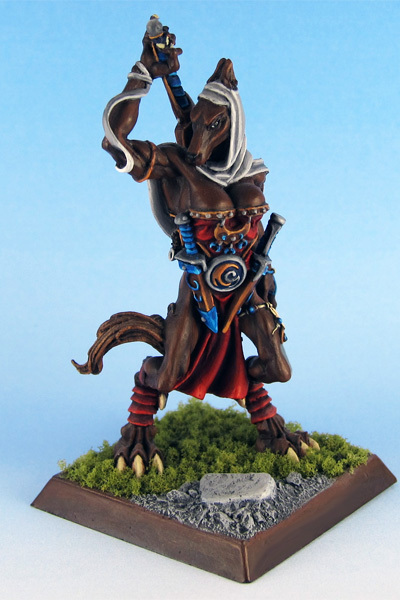 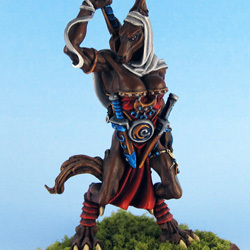 I wouldn’t show you most of the minis I’ve painted that long ago, but Ashan Tyr aged gracefully. 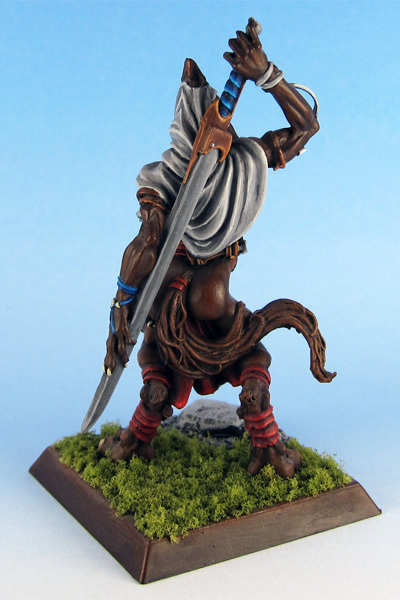 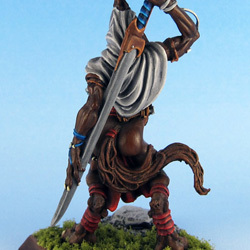 Ashyn Tyr was sculped by Stéphane Simon.